Designed for straight, round pipe towel rails. 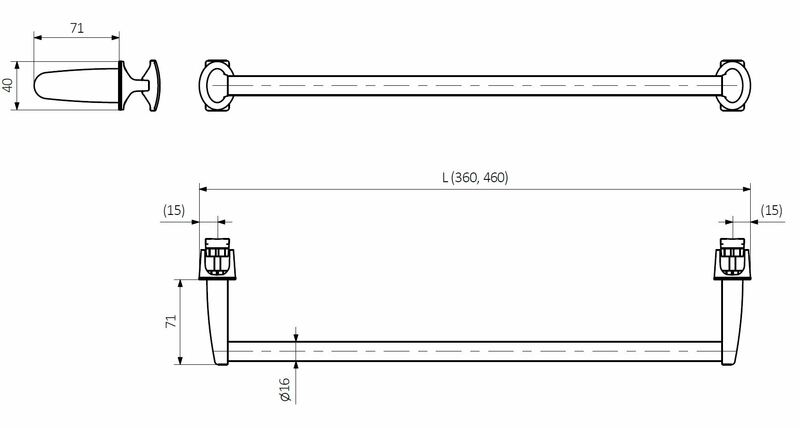 Two widths available: 400 and 500 mm. Dedicated to the radiator with straight round bars (Fiona, Mike).